The Nobel Prize is great, but where are the women? There has been a lot of focus on the Nobel Prize in the past week. Most people probably think that all the Nobel Prize things happen in Stockholm, but the truth is that several activities have been arranged here in Gothenburg as well. 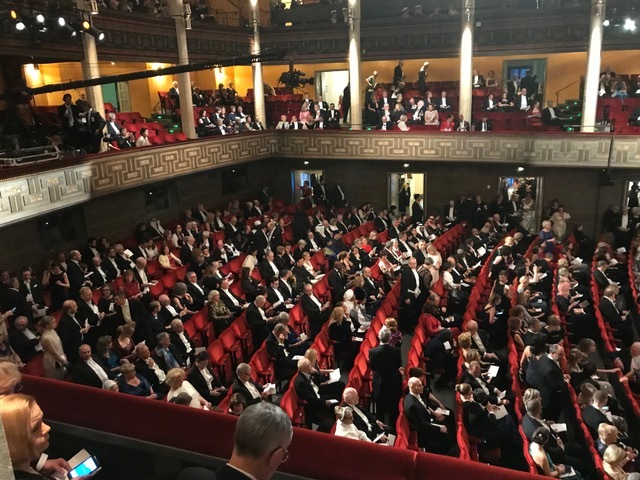 It started with the popular-science event Nobel Week Dialogue last Saturday and ended Thursday with a Nobel Prize lecture by Richard Henderson, one of this year’s three Nobel laureates in chemistry. We organised the lecture together with Chalmers University of Technology. It has actually become a yearly tradition for the two of us to jointly invite one of the winners to give a lecture to students and other interested people. It is my understanding that it has been greatly appreciated! So, again, the Nobel week started with the Nobel Week Dialogue, a huge event held in a packed convention hall at the Swedish Exhibition and Congress Centre. 1 200 people, mainly students, had come to listen to seven former Nobel Prize winners, but also a number of other reputable individuals, including former CIA director Michael Hayden and New York Times political correspondent Maggie Haberman, talk about the future of truth. An important topic in an era of false news, alternative facts and widespread challenging of knowledge. The intention was not to focus on the president of the United States, but it was obvious that many of the participants had a hard time not mentioning what is happening in the US and how it is affecting the world. It was both interesting and fun to take part in the Nobel activities in Stockholm. 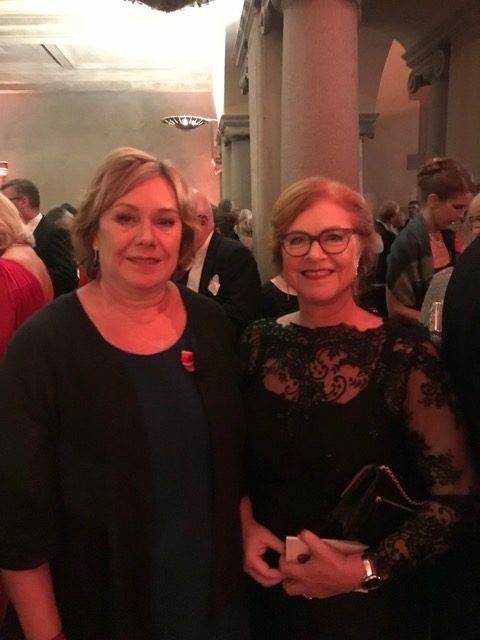 Saturday night, I attended a big social event at the Nordic Museum. Sunday started with an award ceremony at the Stockholm Concert Hall and ended with the Nobel Banquet in the evening. After a big dinner at the Royal Palace Monday night, I finally returned to my more normal life in Gothenburg a bit exhausted but full of great memories. There is no doubt that the Nobel Prize and everything that happens around it are of great importance to the image of Sweden in the world. This is something we should treasure and be proud of. Now that the festivities are over, as a university we have some important things to ponder over. One such thing – and I’m not the first person to point this out – is the scarcity of female Nobel laureates. I don’t know exactly how many women have won a Nobel Prize over the years, but it is certainly not a very big number. From what I understand, some initiatives to have more women nominated have already started. For example, about a year or so ago, the Nobel committees started to invite more women to submit nominations. Another good initiative is that the Nobel Foundation in February next year will organise a conference where possible measures to increase the number of female laureates will be discussed. But I think it will take a lot more than merely discussing the issue at the highest level. I’m convinced that more fundamental changes will be necessary, and in this context I hope and believe that the gender mainstreaming efforts that are currently underway in academia will have a positive effect. It’s really sad to every year in connection with the awarding of the Nobel Prizes be reminded of how difficult it is for women to reach the highest levels of the academic community. What’s more pleasant is to be reminded of the importance of basic research, or rather that it is a prerequisite for the really big discoveries. It is also good to be reminded of the importance of patience, perseverance and cooperation. In fact, many of the prizes awarded are the result of persistent work for several decades across both national and disciplinary boundaries. It was refreshing to hear several speakers talk humbly about their research breakthroughs and cooperation with colleagues. Less silo mentality and more intense collaboration and teamwork. This may not always lead to new Nobel Prize laurates, but will with great certainty lead to more ideas and an overall higher quality.